Geneva-on-the-Lake is full of eclectic eats! Whether you are craving sweet and sticky glazed donuts or a savory cheese and charcuterie platter, the restaurants here have it all. With so many great places to dine, it can be hard to choose where to go. Luckily, we’ve pinpointed 15 of the best restaurants in Geneva-on-the-Lake and the surrounding area! Treat yourself to one (or all) of these great Geneva-on-the-Lake restaurants! Afterwards, if you are hungry for more, download our free Geneva-on-the-Lake Vacation Guide. Our guide has over 100 local recommendations on top attractions, places to eat, and things to do in the area! Crosswinds Grille is Geneva-on-the-Lake’s only farm-to-table restaurant. You will find everything here, from colorful charcuterie boards to wood fired pizza to fresh salads made with local greens. Chef Nate prides himself on building relationships with local farmers, creameries, and fisherman in the area, meaning that you will experience only the freshest and best local cuisine every time. Explore the Crosswinds Grille menu. Get directions to Crosswinds Grille. We can’t get enough of Madsen Donuts! For nearly a decade, this donut shoppe has served the community with fresh baked, melt-in-your-mouth delights. Glazed, jelly-filled, and plain cake donuts are all classic options at Madsen Donuts. However, you will also find unique artisan flavors like marshmallow cream filled donuts and cinnamon sticks. Explore the Madsen Donuts menu. Get directions to Madsen Donuts. Mary’s Kitchen was established along the lake over 75 years ago. To this day, the diner remains a local favorite. You will find menus filled with homemade classics like hotcakes, soups, sandwiches, and fried pork chops. When it comes to lunch, Mary’s club sandwich is highly recommended. It’s made with sliced turkey, bacon, American cheese, lettuce, tomatoes, and mayo on toasted white bread. Explore the Mary’s Kitchens menu. Get directions to Mary’s Kitchen. Horizons Restaurant offers upscale American cuisine with a lakefront setting. Their menu changes with the seasons, and they serve breakfast, lunch, and dinner. The elegant setting of Horizons makes it ideal for a romantic dinner. You will find pizza, sandwiches, soups, salads, and the like at Horizons. Eddie’s Grill is a Geneva-on-the-Lake classic and a must for all who visit. This ’50s style diner serves up American summer favorites like hamburgers, french fries, ice cream floats, and root beer. The lemonade at Eddie’s is freshly squeezed, and the hot dogs are real Slovenian sausage! Eddies does not currently accept credit cards, so remember to bring cash! Get directions to Eddie’s Grill. After exploring Geneva-on-the-Lake’s eclectic eats, continue your night on the shores of Lake Erie at the Lakehouse Inn & Winery. 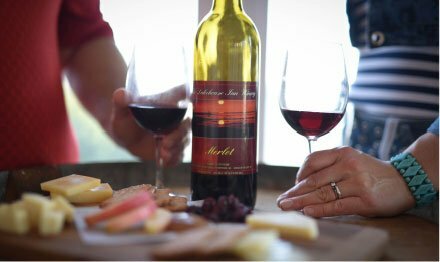 Relax by the beach, unwind with a glass of wine, and take in the brilliant views of the sun setting over Lake Erie. In the morning, you can look forward to continuing your dining excursions with a complimentary farm-to-table breakfast at Crosswinds Grille. 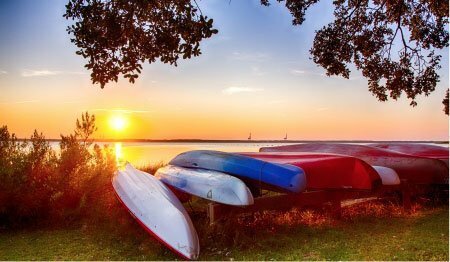 Our Lakehouse Cottages are just a short walk away from the beach! 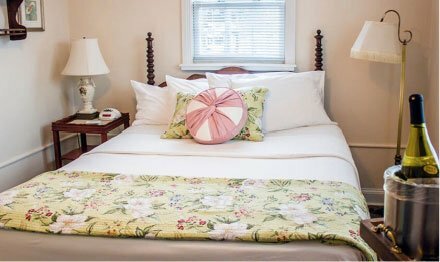 Located adjacent to the inn and 100 yards from the waterfront, our cottage rentals feature two bedrooms, a full kitchen, small living room with cable television, a private bathroom, and more. Our cottages are among our most popular rentals, so reserve yours today! We can’t wait to host you at the Lakehouse Inn & Winery! 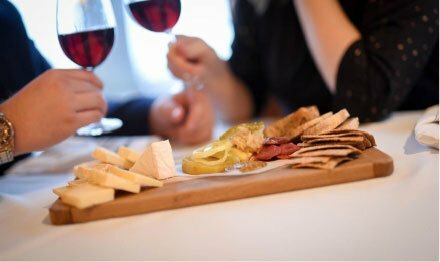 Now that you’ve found the best Geneva-on-the-Lake restaurants, read our blog to find the best Geneva-on-the-Lake wineries!